… although I was supposed to be. 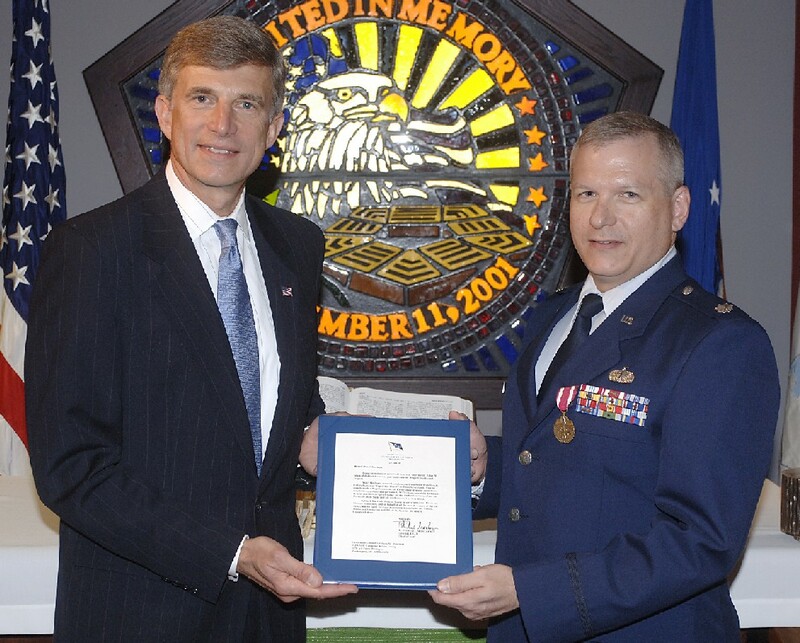 I had been in the Pentagon on September 10, 2001, after all, and was scheduled to go back the next day. I’d spent part of September 10 in the Secretary of Defense Executive Support Center, monitoring the progress of a strategic command & control exercise. My presence there was strictly ancillary: I’d recently rotated back from my assignment at Thule Air Base, Greenland, and my training at the Defense Technology Security Administration had not started, so I was tagging along with friends and checking on what my old unit at Offutt AFB was doing. On the morning of September 11, I reported first to DTSA — in our quiet civilian office building in Alexandria — and told them I was headed back to the Pentagon to monitor the exercise for another day. No, they said, you can’t go over this morning because you have an in-processing appointment to meet the Colonel upstairs. So I didn’t go to the Pentagon that day. Instead, I saw the events unfold on a fuzzy TV picture (one of our engineers had jury-rigged an antenna onto a TV that was usually used only for showing videos). When I went to my appointment upstairs, I stood at the window and looked at the column of smoke rising above the hill to the north of our building. I was several miles and seemingly several worlds away from what was happening. Trouble was, my wife knew I was supposed to be in the Pentagon … and I didn’t call home for several hours. (In some respects, I’m still apologizing for that oversight.) Not that much would’ve changed for me, had I been in the building. I would’ve evacuated with everyone else, and from my friend’s reports they weren’t even in a good position to be of much help. So, not much of a 9/11 story from me. 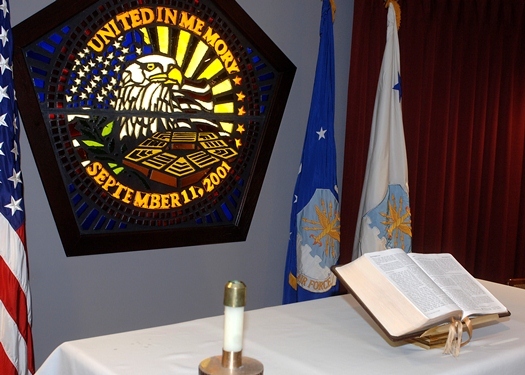 Almost five years later, when time came for me to retire, we held my retirement ceremony in the 9/11 Memorial Chapel. Knowing what that part of the building had gone through, and what that room meant, made my retirement rather poignant. 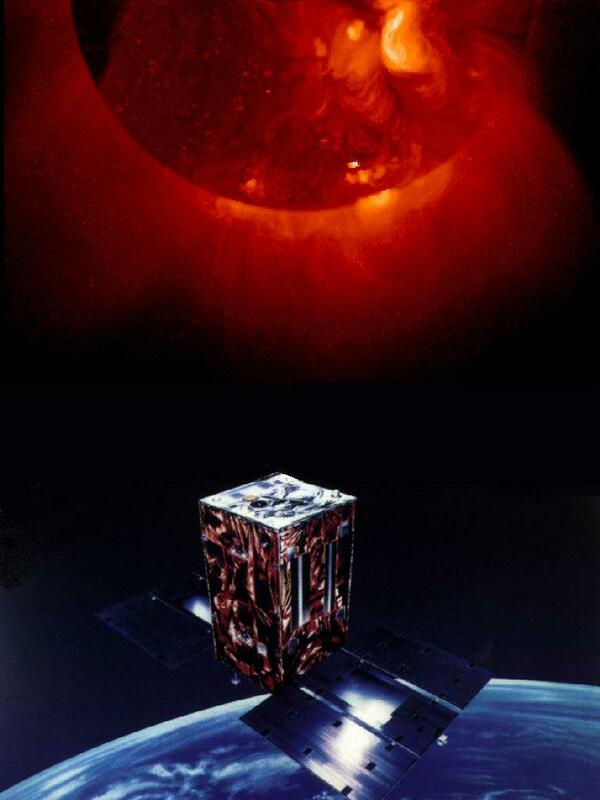 Twenty years ago today — August 30, 1991 — the Yohkoh solar astronomy satellite launched from Kagoshima Space Center, Japan. Yohkoh was originally named “Solar-A,” and was a joint venture between Japan, Great Britain, and the US. “Yohkoh” means “sunlight” in English. Yohkoh suffered a spacecraft failure in December 2001 that has put an end to this mission. During the solar eclipse of December 14th the spacecraft lost pointing and the batteries discharged. The spacecraft operators were unable to command the satellite to point toward the sun. If you have a child interested in such things — or if you yourself have a childlike interest in such things — you can build your own model Yohkoh satellite, using actual satellite blueprints. And in other space history, on this date 50 years ago the U.S. launched Discoverer-29 on a Thor rocket out of Vandenberg AFB. According to this Wikipedia page, Discoverer-29 was the first of the KH-3 series of reconnaissance satellites launched by the NRO in the Corona program. Pawing around in the filing cabinet, I found my Extended Active Duty Order, dated 25 years ago today: August 12, 1986. The orders assigned me to the Air Force Rocket Propulsion Laboratory (Air Force Systems Command), Edwards AFB, California. Effective date of duty is on or after 9 Sep 86. On or after this date, individual will proceed and report not earlier than 0800 and not later than 2400 hours on 15 Sep 86 to the 24 hour arrival point, Edwards AFB CA. First things first, the military mission: 20 years ago today — April 28, 1991 — the Space Shuttle Discovery launched on a dedicated DoD mission. The STS-39 crew — Michael L. Coats, L. Blaine Hammond, Guion S. Bluford, Gregory S. Harbaugh, Richard J. Hieb, Donald R. McMonagle, and Charles Lacy Veach — completed a combination of classified and unclassified mission objectives during their week in space. And just 5 years ago today, the CloudSat and CALIPSO* meteorological satellites launched from Vandenberg AFB on a Delta-II rocket. They launched into the same orbit as the Aqua, PARASOL, and Aura satellites to join the A-Train of observational craft that pass overhead one right after the other. Fifteen years ago today — March 22, 1996 — the Space Shuttle Atlantis launched from the Kennedy Space Center on a mission to Russia’s Mir space station. Shuttle mission STS-76 was the third Shuttle-Mir docking mission, and carried astronauts Kevin P. Chilton, Richard A. Searfoss, Linda M. Godwin, Michael R. Clifford, Ronald M. Sega, and Shannon W. Lucid. Lucid stayed aboard Mir when the rest of the crew returned to Earth. The second Gray Man space history connection comes from another launch, 5 years ago today: a Pegasus-XL rocket carried three microsatellites (ST5-A, -B, and -C) to orbit as part of NASA’s New Millennium Program. As I’ve mentioned before, when I was stationed at the AF Rocket Propulsion Laboratory at Edwards AFB many years before, I was on the Flight Readiness Review Committee for the first-ever Pegasus launch. It looks ever more doubtful that I’ll get to fly in space, but it was nice to be at least marginally associated with the space program during my career. Ten years ago today — March 18, 2001 — XM-Radio launched its first satellite. 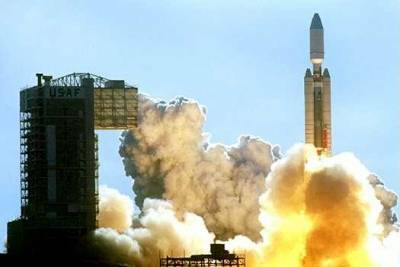 A few years after this launch, I got to go out on a Sea Launch mission as one of the space technology security monitors for the Defense Technology Security Adminsitration. As I’ve said before, it was one of the most interesting temporary duty assignments of my Air Force career. With yesterday’s landing, the Space Shuttle Discovery itself moves into the realm of space history. Yours truly worked two Discovery landings when I was stationed at Edwards AFB. Even though my duty station was across the lakebed at the AF Rocket Propulsion Laboratory, I got to be part of the AF Flight Test Center shuttle recovery team, and was part of the contingency convoy for the landings of STS-33 and STS-31. Quite a thrill for a space-happy young officer! An era is ending … I hope the next era will be even more spectacular. Twenty years ago today — March 8, 1991 — a Titan-IV rocket carrying a DoD payload launched from Vandenberg AFB. The Titan-IV, an “A” model, was the first to be launched from Vandy, and carried a satellite identified as USA-69 for the National Reconnaissance Office. A few years earlier, I had conducted environmental monitoring of a Titan-IV solid rocket motor test firing, and two years later I joined the Titan System Program Office at Vandenberg and worked on a number of related projects. 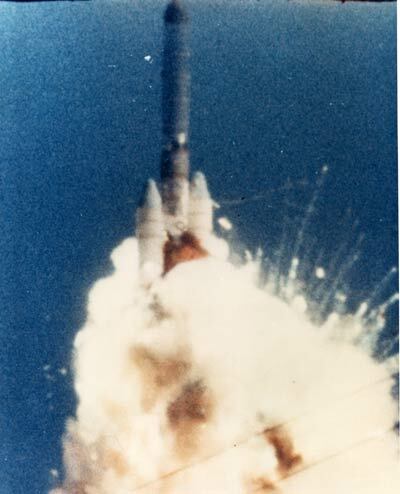 At the time of this launch, however, I was stationed back in South Carolina and, if memory serves, was on leave — having welcomed my son into the world a few days before. Fifty years ago today — February 1, 1961 — an SM-80 Minuteman-IA intercontinental ballistic missile was successfully launched, marking the first test flight of the full-up solid-fueled ICBM. Why does that historical tidbit interest me so? Because many years later my first assignment was to the Air Force Rocket Propulsion Laboratory at Edwards, where those test flights had taken place. What made them remarkable was that those test flights at the Rock were tethered, meaning that after the missile left the silo* it was still shackled to the ground. 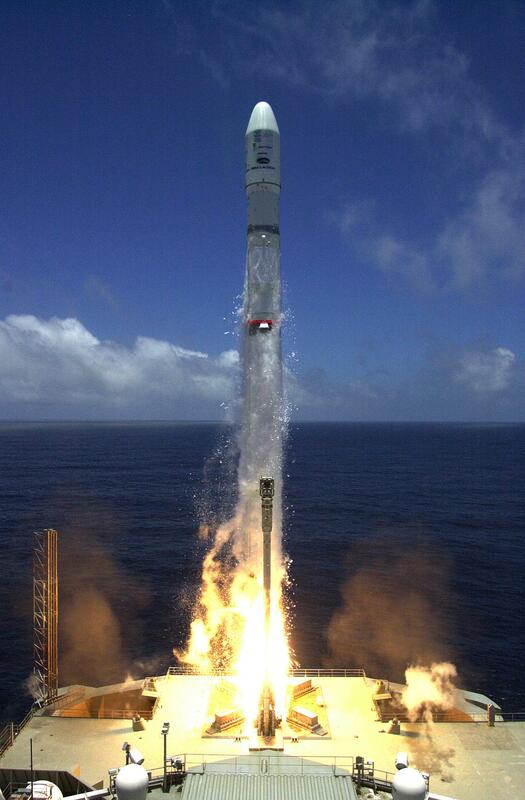 I wish I had one of the images to post, of the missile trying to get away while sturdy lines held it fast. Many of my friends spent tours of duty as missileers and missile maintainers, on later versions of the Minuteman as well as other ICBM systems. To each of them, and others whom I don’t know, I say: I’m grateful for your quiet diligence and your deterrent power which kept (and keeps) us secure. I salute you all. *Which I visited many times, at Area 1-100.